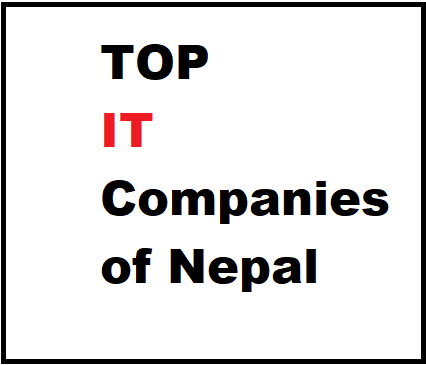 This is a list of notable companies in the information technology sector based in Nepal. Top 10 companies are listed. VeriskIT is the subsidiary company of Verisk Health (now Verisk Informatics) situated in the USA. VeriskIT primarily outsources their projects of Verisk Informatics. Enterprise level of the project is what VeriskIT focuses on. F1soft is the Nepalese owned company with their powerful products like ESsewa, Phone banking E-banking. F1soft is run by 3 Nepali people. With currently employee over 200 people with expertise and competence in technology and management. Employees are skilled engineers, innovators and creative thinkers eager to disrupt traditional access to financial services by inventing solutions that are much more efficient, affordable and real-time. Efforts in FinTech innovation have been duly recognized by various national and international bodies including the 2014 International Business Awards (Bronze), 2013 FNCCI Service Excellence Award and the 2012 Red Herring Top 100 Asia Award. Leapfrog is one of the powerful outsourcing company that primarily focuses on software development. The different field they work on is java, Ios, ruby on rails, DevOps, etc. Cloudfactory is start-up which is one of the multinational company that has also branches on Kenya. Cloudfactory works on mass production on software development. The company that primarily focuses on Ruby on Rails on Nepal is cloud factory. It is renowned for its development trough agile mode. Splitted from VeriskIT, seniors develop the new company for the leading tech of the company, called Deerwalk, It is also primarily focused on American projects and Rudra Pandey IS leading the company. Deerwalk can be one who works hard to achieve their goals. The Deerwalk platform addresses each of the needs above-or all of them, together. DeerwalkOne is a fully integrated, forward-thinking health analytics product suite. Use the DeerwalkOne products and solutions you need today, and know that your analytics platform will meet your needs of tomorrow. It’s ready when you are. No costly configuration required. One platform is all it takes. The Netherlands-based outsourcing company landed in Nepal is called Javra. Javra is famous for working on different frameworks like nodejs. One of the oldest tech company in Nepal is Yomari Inc, which also outsources their projects a lot. Yomari is known for their banking software. It’s privately owned company founded in 1997 and providing best services in information management system. They are completely focusing on all small and larger companies to manage their company information and data as well. European based Software Company famous for its software development process Logpoint has their own product to raise up called SIEM. They are also one of the powerful software development company located in Kathmandu valley. Braindigit IT consultant established and work for global software development for Enterprise and Business works. They primarily focus on dot net based projects. Australian based projects working in Nepal, especially on we based projects and mobile development projects. They primarily outsource their projects and works under languages like Magento, CMS, WordPress, etc.